Relax, it is only ONES and ZEROS ! 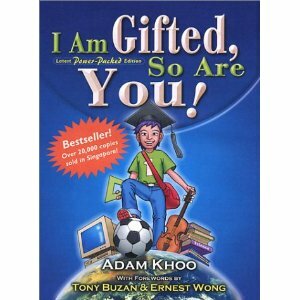 : I am gifted, so are you! Yes, it's title of the book, I am reading. Today, I'm not talking about this book. I'm thinking about me with 16 years study. Time in school with many memories. I feel I'm really lucky and I know I can do more than I did. When I studied in primary school, I was mischievous boy. I don't know why I go to school. I always made my teacher hate me, the best thing I remember is when I went out of school then I explored new way to come back home. I and my friend were call "short ways". Do you know if we went in the common way, we spend 5 minutes to come home, but we always spend half hour or more. I think we are like a explorer, we have many issues on way such as: the way too narrow, we need over come a field, we need jump over ditch or sometime we lose the way. Yes, it always is good memories. I go to middle school in not easy. My parents are worry about me, because I learn too bad (not too bad like Adam Khoo :D) They take me to learn in an expensive school (because it's school made by a person). In short time I quickly get better. In here, I become a good boy, I don't play computer game like some friends. I didn't learn hard, but I like Math. I send many time to complete my exercise from teacher and advanced book. Now, I think it's my important period, I will difficult to study programming if I am not good Math. Thank to my teacher. I am very self-confident when I come to high school. OK, it's very bad because I don't know in out side, many pupils learn very well more than me. I like a frog on well (well I mean "a deep hole in the ground from which water, oil or gas can be obtained"). High school is a hard way for me. I was selected in a good class in high school, but I didn't learn well enough to satisfy expectation of my parents and teachers. Worry grow up inside me. I need to go to university. In this time, I know I like computer, I decisive to go to Bach Khoa university. It's not easy and my dream is not become true. And I come to NIEM university, this is a big change in my life. At the begin, I felt hopeless, but after graduate I didn't. Study in university is a long story. Nowaday, I am quite proud and happy because I choose right way to study in it. This story is end. That's all for today!